I will admit it... I love assessments. Don't misunderstand me... I hate tests. To me, there is a difference. An assessment is ongoing, can be both formative and summative, influences instruction, and can provide crucial information to teachers and students about learning. Assessments come in many forms, but, above all, must be appropriate to the student if they are to be useful. I love helping my students chart their growth through ongoing assessments. But, it frustrates me to no end to watch my Kindergarten students take tests. Tests are top-secret, streamlined, often computer-based probes that provide quick numerical values that can be assigned to students (and teachers for that matter) for pages of disaggregated data that is supposed to be used to completely overhaul instruction. Unfortunately, tests are a neccessary evil in 21st Century education. So, how do we turn tests into assessments? Take away the secrecy and teach students how to use the testing tool to show what they know! No student is too young to start solving the test mystery. In my Kindergarten classroom I believe in unveiling tests as soon as possible... not teaching to the test, but teaching how to test. In light of that I started to create weekly Kindergarten extended response questions to supplement and assess my standards-based math instruction. This week, I am working to update my TPT store to include these extended response questions. 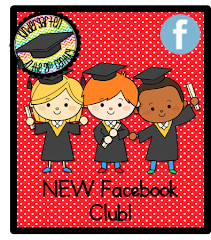 Click to view one of the freebies at 21st Century K! The Kindergarten standards for Geometry are very rigorous. This assessment requires analyzing and comparing. This summer I am preparing for my twelfth year of teaching primary school. (Well, actually I am resting from teaching eleven years of primary school, too!) The first five years of my career I taught ungraded primary with a Kindergarten/First Grade split class and then a self-contained first grade class. The second five years of my career I served as my school's Title I Reading and Math teacher. I love this position! I was able to take on some leadership positions in my school, make a difference with struggling learners in grades K through third, and take more time to focus on my family at home. This past year I was disappointed that budget cuts and increased enrollment meant I would have to leave my intervention position to return to the classroom. I chose to teach Kindergarten and was pleasantly surprised to find a renewed love of teaching, learning, and creating with my young students. I was also surprised by my own third child at home! Jude rounds out our family of five and is adored by his big sisters Eve and Leah. My husband, Jay, and I have a passion for education in our close-knit Murray, KY, community. He is a preschool teacher and assistant basketball coach for our district. We have been actively involved with ushering the 21st Century into our classrooms. Smartboards, document cameras, iPads, differentiation and standards-based instruction/assessment have become integral parts of our days. Through this blog I hope to share ways that I am incorporating the new Common Core standards, 21st Century Learning, and College/Career Readiness into my Kindergarten classroom. I would also love to hear from other like-minded primary teachers who believe that this new generation of students has different needs, they are never too young to learn and work at high levels, and that teaching must reform to provide the best education the 21st Century teacher has to offer!